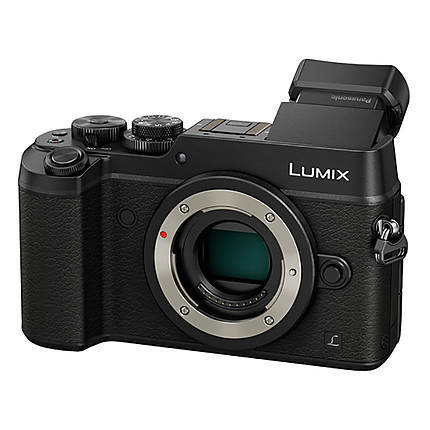 With its ergonomic design and advanced technology, the Panasonic Lumix DMC-GX8 Mirrorless Micro 4/3 Camera Body is a sensible gadget for the amateur photographer. 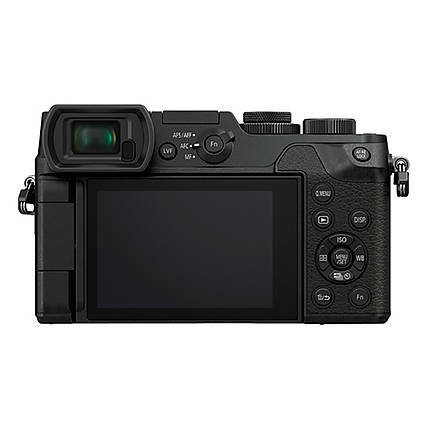 It is equipped with a 20.3 MP Digital Live MOS sensor, which works in conjunction with the Venus Engine image processor for providing an impressive performance and a wide dynamic range with remarkable image quality. Use the Dual Image Stabilization function for shooting blur-free images with superior sharpness and clarity. The Depth-From-Defocus and Starlight AF Technologies are useful for instantly calculating the distance to your subjects and adjusting the focus position within just 0.07 seconds. Lastly, the NFC and WiFi connectivity options let you share pictures wirelessly and control the camera remotely with a tablet or smartphone. 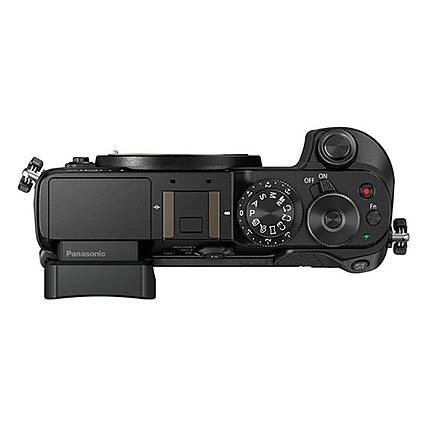 The Panasonic Lumix DMC-GX8 is compatible with numerous Micro Four Thirds lenses that provide outstanding focal lengths and apertures. The ISO sensitivity ranges from 100 to 25,600 whereas the electronic shutter operates at a speed of up to 1/16,000th of a second. Use the Depth-From-Defocus and Starlight AF Technologies for instantly calculating the distance to your subjects and adjusting the position of the focus within just 0.07 seconds. Apart from the White Balance and Exposure modes, the 3 Metering methods are essential for an array of photography situations. 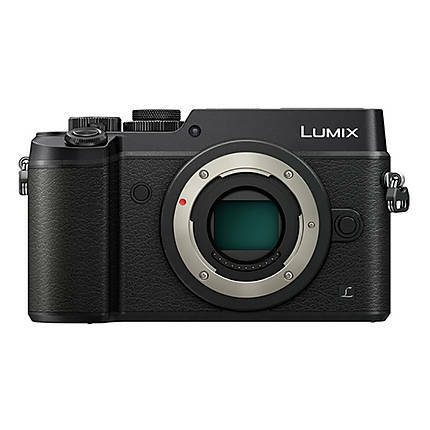 The Lumix DMC-GX8 features a 20.3 MP Digital Live MOS sensor that takes photos with a great deal of sharpness and performance. The 3-inch 1.04 M-dot Vari-Angle touchscreen offers immense clarity and has an intuitive interface for browsing menus and viewing your captured content conveniently. 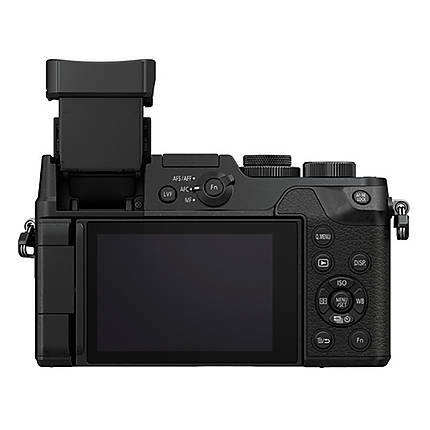 The ergonomic, tiltable 2.36 M-dot 0.77x OLED electronic viewfinder comes with a 21-mm eye point for viewing your subjects under the bright sunlight, where it becomes practically impossible to use the screen. Also, the viewfinder and screen both offer a coverage rating of 100%. 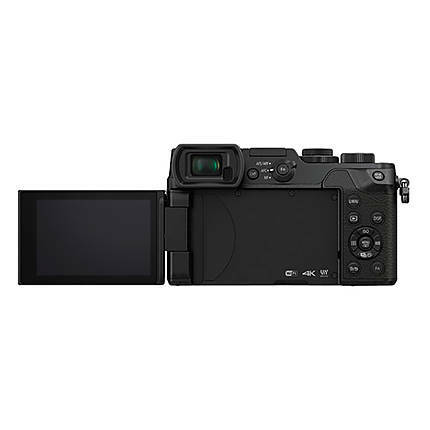 The Lumix DMC-GX8 from Panasonic not only shoots MPO, RAW, and JPEG photos at its maximum resolution of 5184 x 3888 pixels but also records stunning 4K videos at 3840 x 2160 pixels at up to 30 fps in the MP4 format. 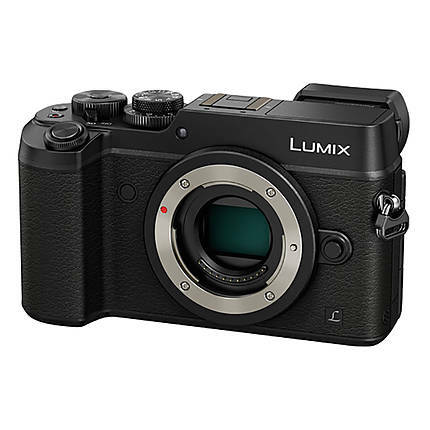 The Dual Image Stabilization function is useful for capturing blur-free images with a great deal of clarity and sharpness. The Venus Engine image processor renders images with an outstanding combination of speed and quality. Furthermore, you can capture as many as 100 JPG or 30 RAW images in a continuous manner at a burst rate of up to 10 fps. 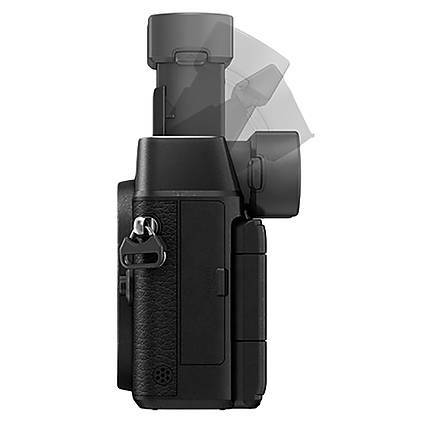 The WiFi and NFC connectivity facilities in this camera enable you to control the camera remotely with a tablet or smartphone and share imagery wirelessly. The numerous Creative Control and Photo Style modes give you the freedom to unleash your creativity on your images. You can view your captured content from the camera directly on a television screen by connecting the television to the camera’s HDMI D micro port. Use the USB 2.0 for transmitting data seamlessly from the camera to a variety of devices such as a computer. Powering this camera is a 1200 mAh DMW-BLC12 rechargeable Lithium-Ion battery pack.